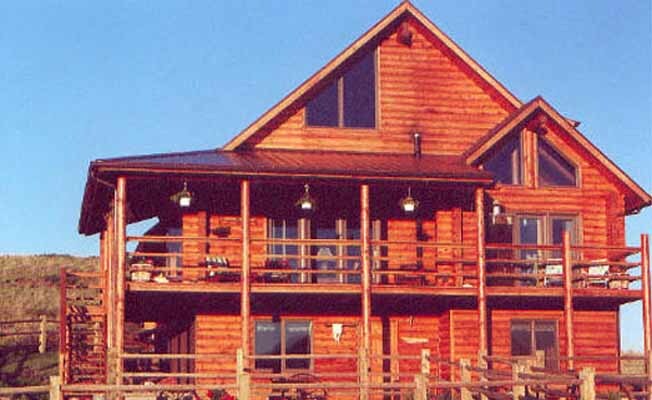 Indian Creek Adventures LTD welcomes you to experience the true hospitality of Montana. Meals are served family style in the dining room, with evening barbecues and cook-outs. Hike through our scenic countryside and enjoy nature at its finest. Abundant wildlife and upland game birds, both rugged and rolling hills with plenty of trees provide great opportunities for photography hikes, rock and fossil hunting or antler hunting. Enjoy the beautiful 'Big Sky Country' sunsets from our deck in the evenings. Our hunting areas for mule deer and antelope are along the Little and Big Powder Rivers and the encompassing breaks. The areas vary from rolling hills and sagebrush flats to rugged pine and cedar-covered high country. Giving the opportunity to see 20 to 30 mature deer bucks in a day with the possibility of harvesting a 22-inch to 28-inch trophy mule deer. It is not unusual to spot 20 or more pronghorn bucks in a day and you could expect to harvest a 13-inch to 15-inch mature buck. Indian Creek Adventures offers trophy deer, elk and antelope hunts during archery season. Archers have a huge advantage in taking a trophy elk in area 704 because it is during rut. The bulls are really 'bugling' and are easier to call within bow range. Archery season is also during the rut for antelope.